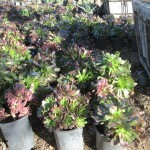 Aeonium arboreum - Jimenez Nursery, Inc. 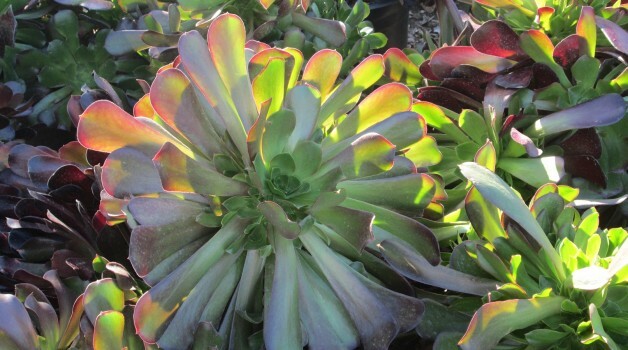 Native to The Canary Islands, these evergreen succulents have fleshy green leaves that are arranged in rosette formation. 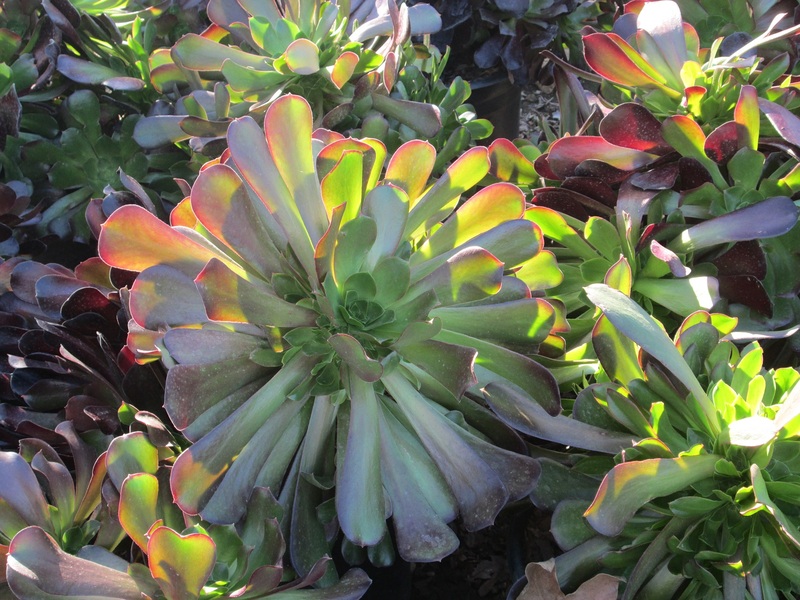 Some plants have leaves with reddish edging. The flower spikes are yellow. 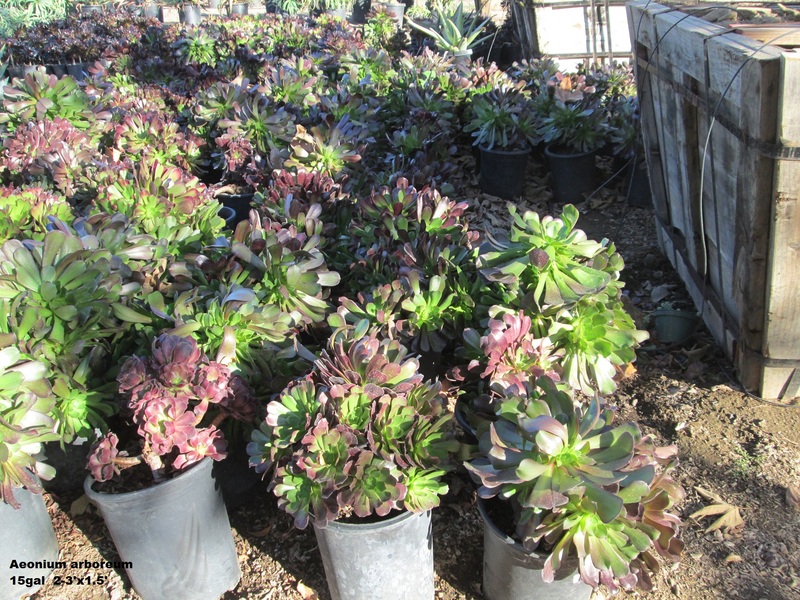 Best Uses: Great for succulent gardens or in containers. Recommended Placement: Needs shelter from desert sun and frost. Requires moderate water.